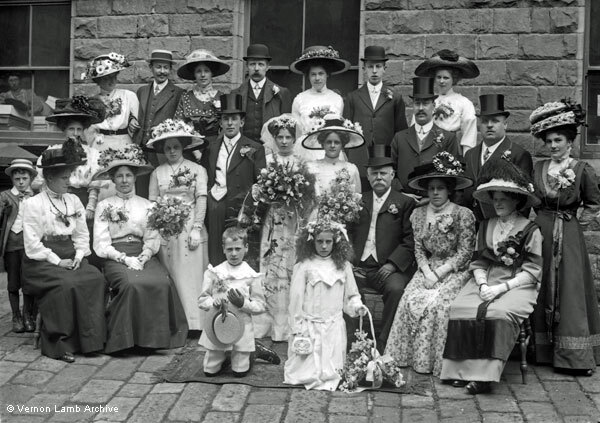 Description/Historical Information: Large wedding group. Beautiful floral hats. Street/yard paved with stone setts.